It has anatomically correct regions that develop in the right place and at the right time. This was the most amazing thing for us. 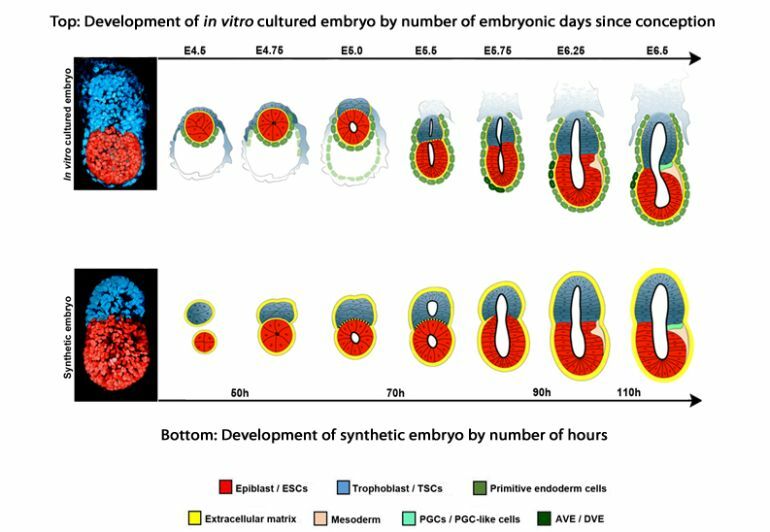 In the past, researchers have attempted to create a lab-grown embryo using only one type of stem cells: embryonic stem cells (or ESCs) that are responsible for producing a free-moving cellular mass called blastocyst following the fertilization of the egg. As explained by the team, this particular approach is viable because it requires two additional kinds of stem cells, namely the extra-embryonic trophoblast stem cells (TSCs) and the primitive endoderm stem cells, to generate a functional embryo. We knew that interactions between the different types of stem cell are important for development, but the striking thing that our new work illustrates is that this is a real partnership – these cells truly guide each other. Without this partnership, the correct development of shape and form and the timely activity of key biological mechanisms don’t take place properly. They are very similar to natural mouse embryos. We put the two types of stem cells together – which has never been done before – to allow them to speak to each other. We saw that the cells could self-organize themselves without our help. The current approach enabled the embryo to reach around one-third of the growth process of an actual mouse pregnancy. 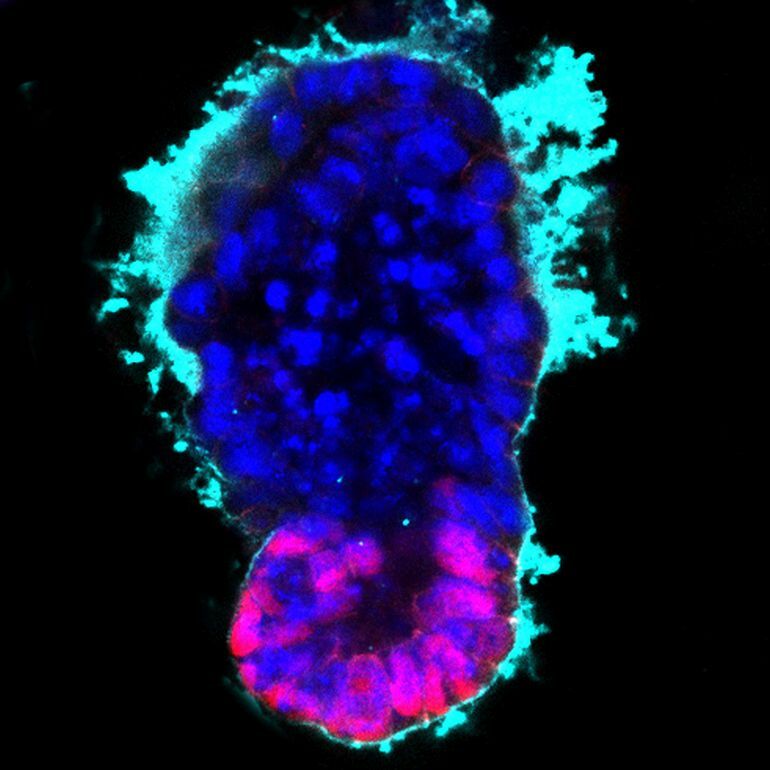 Beyond this, the team explains, the embryo would have needed help from primitive endoderm stem cells to be able to build the yolk sac, which is what delivers the nutrients and blood cells while the placenta is still under development. We think that it will be possible to mimic a lot of the developmental events occurring before 14 days using human embryonic and extra-embryonic stem cells using a similar approach to our technique using mouse stem cells. 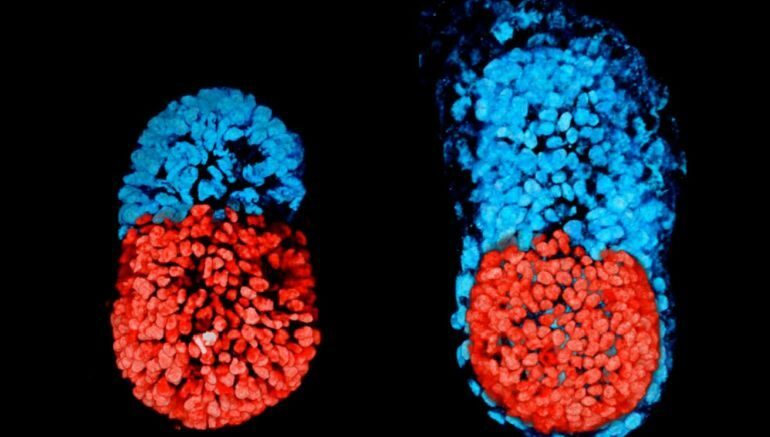 We are very optimistic that this will allow us to study key events of this critical stage of human development without actually having to work on embryos. Knowing how development normally occurs will allow us to understand why it so often goes wrong.